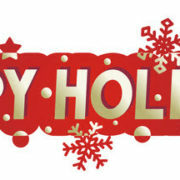 Furthermore, like most companies, various staff members will be taking time off to enjoy the season with their family and friends. If you are unable to reach the staff member you desire during normal business hours, please call 262-790-2740 and press “0” and another staff member will assist you. Maybe we can get a little more snow so everyone can take a thrill ride down a hill like this guy…. Many battery manufacturers and installers use a date code system to help establish warranty dates. 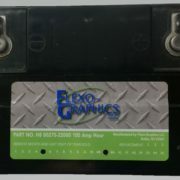 You will often see a label on the top of your car battery that has a date code systems similar to the one shown below. The dates typically represent the month and year in which the battery was installed into your car. The photo below shows a battery that was installed in April of 2015. Your warranty will be dependent on service range of your battery. This is typically 24, 36, or 48 months. See your battery installer for more details. Are you currently in the business of marketing vitamins or planning to market a product? 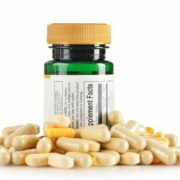 While it might seem like a small detail, the vitamin label could be the difference between gaining a valued customer and not making the sale. This small piece of informative material holds legally required information as well as important branding details. For these and many other reasons, vitamin labels are an intricate packaging feature to design prior to the item reaching the retail shelf or the hands of buyers. What to Include on the Label? These details are typically placed in the area customers look at when viewing the product on the shelf. Additionally, the name and location of the business must be on a separate panel for the vitamin label. The label must be easy to read and convey the right information while at the same time provide an eye-catching design to potential buyers. Depending on the product, it might be necessary to include a fold-out panel that is able to relay important details or health considerations to consumers as well. A professional will be able to offer the best solution based on what information is required and how the product should be marketed. Need a Little Assistance with the Label Design? The design will play a pivotal role in both the safety of buyers and the effectiveness of the brand. 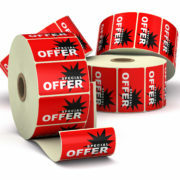 Let’s say you choose a provider who does not typically design and product vitamin labels. This can be dangerous for your company because the proper warning labels, mandatory guidelines, regulatory information, and other details could be missing from the product. When this happens, the item is typically pulled from the shelf and cannot be sold to customers. 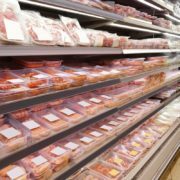 Many times, these products require a vast amount of information to be changes each year on the label; however, knowing the best way to handle all the versions and revision details can prove to be difficult. A supplier who works with vitamin label designs regularly will be able to help you work through the versions to make sure the proper versions are ready for production. 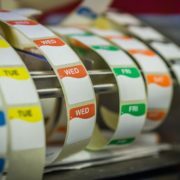 At Flexo-graphics, our team has years of experience working with vitamin labels for countless products. We understand how important this process is and want to help you get the best design for your brand. If you are unsure about what is needed or where to begin, our team is ready to help. Give us a call today! The employees of Flexo-Graphics are excited to announce that Children’s Hospital will be the recipient of a Holiday Gift of $1,419.00. The employees collected cash donations during the month of December, and then voted on special local organization to be receive the gift. 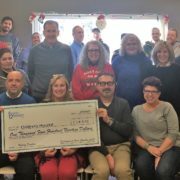 After one of the busiest years on record at Flexo-Graphics, the employees celebrated with a potluck luncheon, and then announced the winning organization.